We're looking for an inquisitive & imaginative team player to bring learning plus reflection into the every day. The application for this role has been closed on September 18, 2016. Download the role description & application here. Do you, like Mark Twain, see opportunities for learning everywhere outside of the classroom? We’re looking for a Learning Coach, who wants to join a small but mighty start-up team and experiment with creative ways to infuse learning into adults’ days. Kudoz is a first-of-its kind social start-up, embedded within three large developmental disability service providers. Developed over a two-year period using design thinking, Kudoz enables adults with developmental disabilities, their families, and staff to experience the surprise, discomfort, and joy of learning. We host an online catalogue with 100+ in-person learning experiences, facilitated by community members with passions to share. We support adults to use the catalogue, and our App, to widen & deepen their interests; grow their social networks; develop soft & hard skills; and build their reflective muscles. We do all of this because we think having a developmental disability should not relegate you to leading a monotonous life, devoid of growth and novelty. Kudoz is premised on a belief that all adults can learn and reflect. Although reflection is often construed as a metacognitive capacity that, perhaps some adults with developmental disabilities lack, we’re adamant about creating expectations, a culture, and tools that make reflection more accessible and part of people’s everyday lives. Over the past couple of years, we’ve tapped into the expertise of teachers, communication professors, and psychologists to develop reflection content. Now, we’re after someone who can draw on research from across disciplines and keep improving our approach to learning & reflection. Our ambition is to curate a wide bank of materials that are scalable, and can be used by adults with developmental disabilities, their families, and staff. You’ll bring very practical learning know-how into the mix so that we raise our pedagogical game and ensure Kudoz is a superb adult learning experience. You’ll also be adept at working in the digital and face-to-face realms, as Kudoz crosses both. We are very much a tech-enabled start-up that relies on technology to power our work. 5 of the 40+ reflection tools we’ve developed to date. You’ll help us grow our analog & digital tools. The Learning Coach directly faces individuals living with developmental disabilities, their families, and the staff who support them. You will be part Recruiter; part Tour Guide; part Educationalist; part Tool Maker. We totally get this is a big ask – you don’t have to be equally proficient in all parts. You are someone with enough experience under your belt that you can jump in with drive & humility. As a Recruiter, you’ll help to spread the word of Kudoz in schools, family living rooms, sporting events, fairs, parades, etc. First impressions matter, and you’ll be one of the forward faces of Kudoz. You’ll help communicate our experiential essence. We think most information is delivered in a boring way, and like to engage families and individuals via playful and delightful means. As Tour Guide, you walk alongside individuals (who we call, Kudoers) and their supports (who we call, circles) to navigate through the catalogue and build awesome learning journeys. Your role isn’t to directly deliver a program, but to motivate the Kudoer and their circle to actually use Kudoz, try new things, have fresh conversations, and extend the learning beyond a one-off experience. We see Kudoz as a bridge to finding hobbies, enrolling in further education, discovering employment opportunities, and forming interest-based friendships. As an Educationalist, you’ll add weight to Kudoz, helping to balance the organic spirit of learning with the right dose of intentionality. You know how to listen to where people are at, and go from there. You’re able to make learning & reflection feel feasible and non-intimidating. You are well versed in adapting learning for different audiences, including adults who struggle with verbal communication and who might reflect using their body rather than their words. 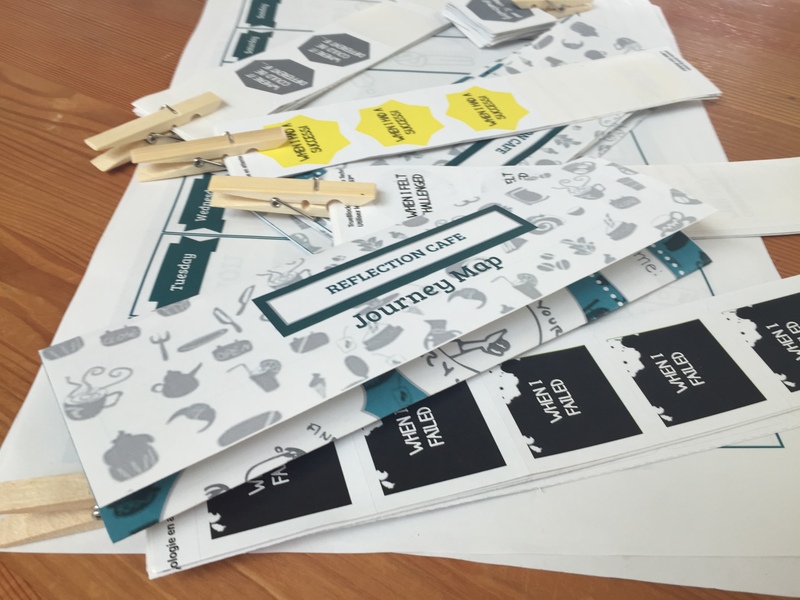 As a Tool Maker, you’ll help us come up with learning & reflection prompts that are simple and scalable. This might be questions sent by text message after an experience, or downloadable games, or short films via our App. You’ll have a creative spirit and a love for making beautiful things (even if you need some help to actualize those beautiful things). You’re fascinated by the latest brain science and can use emergent research as one basis for generating ideas. You’ll reach out to experts, other practitioners, and service providers as needed. And don’t worry: you’ll work closely with our Design team to bring to life the materials and the back-end systems to spread them. All of our team members also serve as Hosts in the Kudoz catalogue, sharing passions as diverse as Photography to Ghost Towns to Pizza on the BBQ. We look forward to the passions you’ll add into our eclectic mix. This is a contract position with funding for up to two years, under the guidance of InWithForward and in partnership with three disability service providers: Burnaby Association for Community Inclusion, posAbilities, and Simon Fraser Society for Community Living. We’re hoping you will work 4-5 days a week, but we will negotiate for the right person. You’ll need some flexibility in your schedule, as Kudoz experiences can happen in the evenings and weekends. You have a background in anything and everything! Perhaps you have been trained in education, philosophy, psychology, sociology, or anthropology. You’ll have 5+ years experience working in relevant fields – be that as a teacher, an art therapist, a museum guide, a support worker, etc. Whatever your credentials, you’re see everything as a teachable moment and back-up your approach with clear frameworks. You are a versatile practitioner, and have some experience interacting with people with a developmental disability – whether in your personal or professional life. You are curious and celebratory about all the diverse ways of being human. That means, you are completely comfortable engaging people who communicate in a range of ways, and can think on your feet. You embody growth mindset in your day-to-day interactions, and are incredibly hungry for learning – whether it’s about the brain or some new app. You’re always reading, watching new things, and getting fresh inspiration. You’ve got loads of pet projects and hobbies, and aren’t afraid to share them and tap into your networks as part of your job. You are naturally reflective, ask lots of questions, and find ways to scratch beneath the conversational surface. But, you get that reflection doesn’t have to look like a journal or a therapy session. You’ve got tons of ideas of other ways to reflect – and can root these ideas in substantive experience and evidence. You’re a go getter and relationship builder; someone who can quickly build rapport, whether 1:1 or in a big group. That means you’ve got high social intelligence and deploy different interaction styles depending on the context. You enjoy the challenge of engaging and speaking convincingly to all sorts: be it civil servants, teachers, families, or self-advocates. You are a self-starter and initiative taker who is detail oriented, able to task manage, and get things done. You’re tech-savvy and use a slew of web-based tools to stay organized and efficient. You don’t expect structure to be provided for you, and are able to work in an environment that is often changing, and frankly, a bit messy and chaotic. You are a theory tester and builder. You enjoy finding literature, pulling out the nuggets, and coming up with your own testable hypotheses. It’s a plus if you have some experience designing research and measuring things that matter. Regardless, you see ourself as a nerd who likes data. Even if you don’t have a lot of technical know-how (yet), you find data surfacing, analytics, and pattern recognition super interesting. You like the idea of using data to make better decisions. You are a relentless team player and hard worker, who loves collaborating with people who have very different skill sets. You can hold your own in a debate, and think work is stronger when it’s the product of rigorous back-and-forth. You’re happy to step in and problem solve wherever is needed, even if it’s not in your (very long) job description. You have some familiarity (even if it’s from afar) with start-up cultures and design thinking. You want to be part of something where there are high expectations but failure is still a possibility. Our ambition is to replicate and spread our team…which means most everything we do has to be codified! You’re into systematizing things and documenting as you go. Writing is not a problem. By September 18th send an email to hello@inwithforward.com with your application, combined in as few separate files as possible. (1) Write us a letter or make us a short video or record a brief podcast to tell us why this particular role excites you, and what combination of theory & practice you’ll bring to it. (2) Design a reflective prompt or game for Umete, one of our Kudoers. What might you send Umete, his staff, and his family to spark reflection after Umete goes on an experience? See Umete’s Kudoz profile by clicking on the blue dot. You can just sketch or handwrite the prompt – no need to be fancy, or spend too much time on it. (3) Show us your resume, and highlight any experience you’ve had with people with developmental disabilities and their families. We’d also love to see what you’re learning right now – any courses, interests, or passions you are pursuing … We’re a fan of photos, so no need to keep your resume to text. A portfolio style is great too.